Having been a stationer for over a decade, I knew 2017 was the year to shake things up. After all, I’m launching my wholesale “sweet notes” social stationery line in a day and age when pen and paper isn’t the primary mode of communication. That’s shaky! 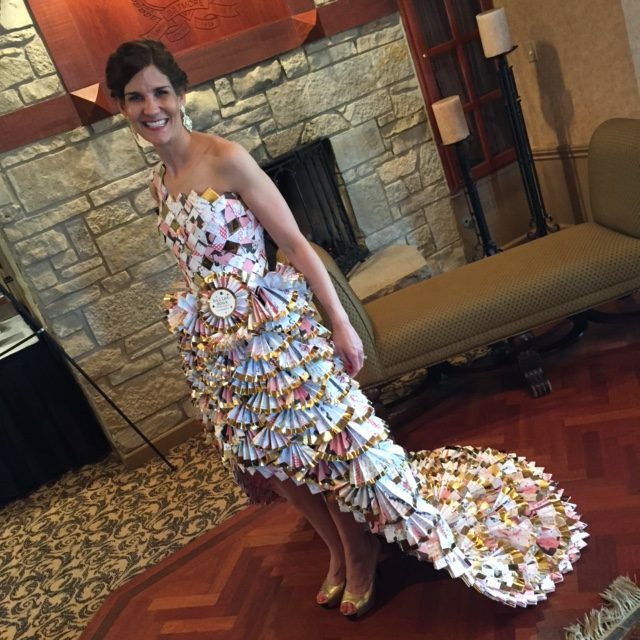 Maybe I’ve watched one too many episodes of Project Runway, but I remembered an annual fashion show that my local Chamber holds and decided this was the perfect event to make a splash! 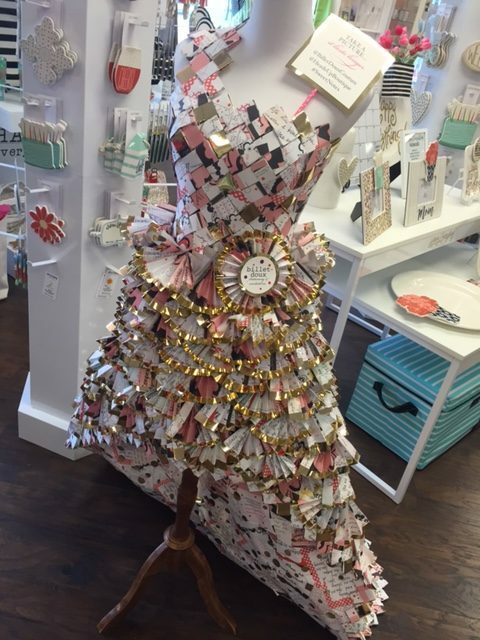 One small problem: I had no clue how to make a dress, much less one made out of paper! The bigger problem: I knew it had to be flawless. Jen started her own wildly successful business, My Perennial, by what she calls a happy accident. She makes the most incredible felt Christmas stockings (carried by Nieman Marcus among other high-end retailers), and the adorable felt-embellished Snappy T’s and headbands (which landed her on the Martha Steward Show). Above all, she’s genuine, kind, charismatic and an incredible person. Yep, she’s the real deal. Right from the start, my vision was that the dress reflects billet-doux – the happy color palette, quirky essence and undertones of unexpectedness (and of course couture, darling) that my company is known for. 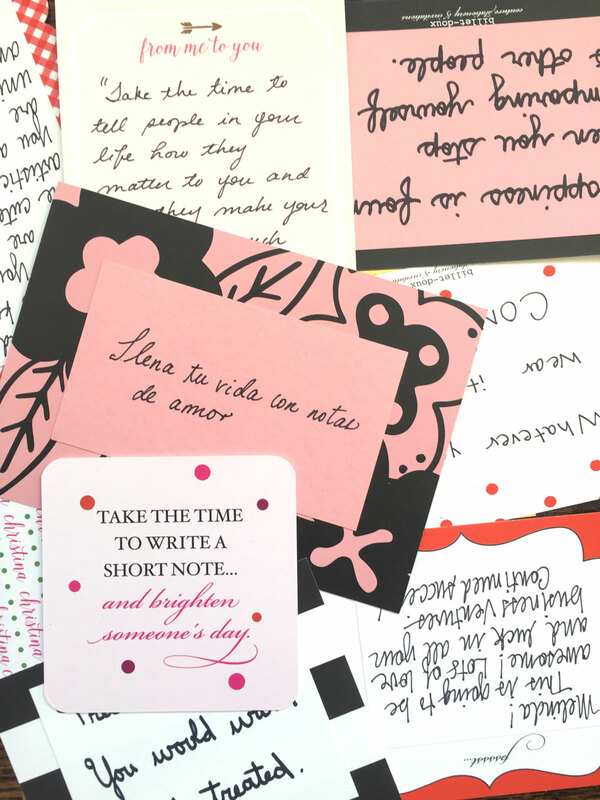 The mission was to bring to life our tagline – “Send a sweet note and brighten someone’s day” – all in hopes to inspire the lost art of handwritten notes. Coinciding with the launch of billet-doux’s “sweet notes” collection, it was a no-brainer to develop our textiles by cherry picking materials from that line. Who knew mirror paper would look so stunning on the runway (we did know that they made great envelope liners, though!)? The bodice was crafted from hundreds of strips of paper, hand folded and woven into an intricate design, which also edges the dress’s train. Even my five-year-old got into the folding fun! 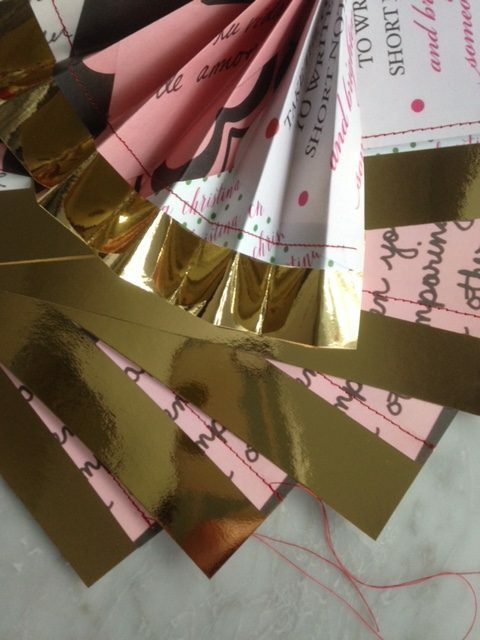 Reflective gold mirror paper – used in billet-doux’s newest “sweet notes” stationery line – was sewn to the printed sheets of paper and individually shaped, adding dimension and volume to the skirt’s detailing. And the sum of all these parts equaled one show-stopping couture gown, stemming from one crazy idea. But then, something really happened: as the story of the dress was repeated to gobsmacked guests, I realized that all of this intentional creativity turned into something rather unintentional. 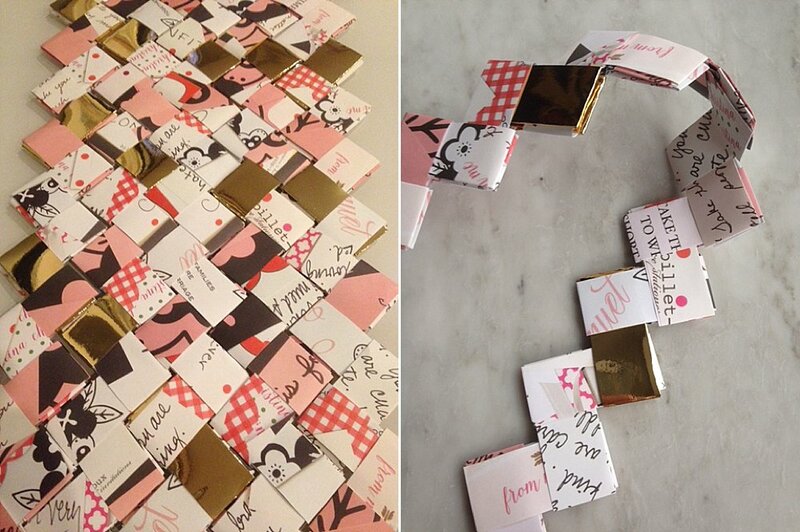 All of that cutting, and folding, and weaving connected thoughts and emotions together from those various women because they wrote a sweet message just to make a dress out of stationery. Like the days of passing a folded secret note in grade school, people wanted to know… What did they write? What was on those notes? 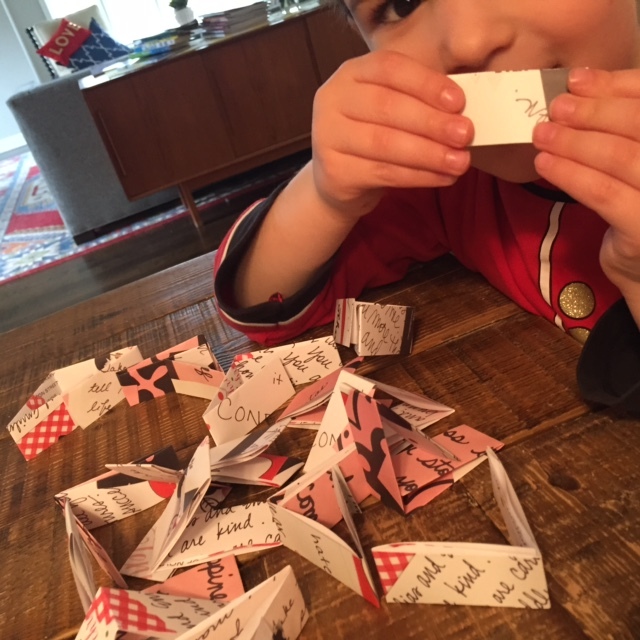 That’s where the real story grew – connecting hearts and minds – and what really happens when we take the time to write a sweet note. © billet-doux Couture Stationery. Website design by Marketing Queen Consulting.